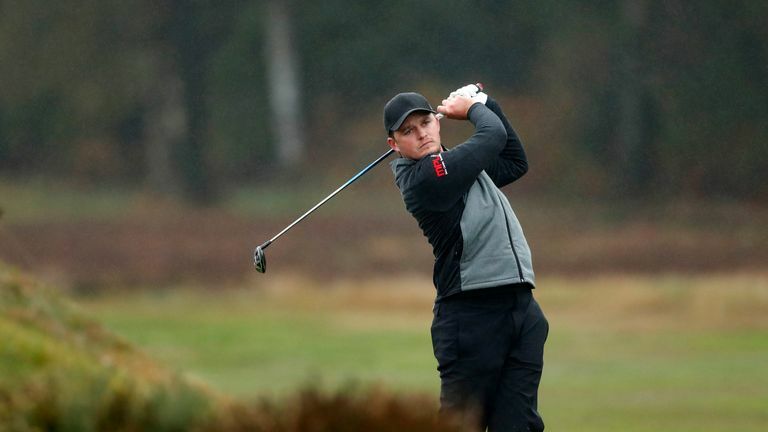 Eddie Pepperell produced a moment of magic in the final round of the Sky Sports British Masters. Eddie Pepperell extended his advantage at the top of the leaderboard with a moment of brilliance during the final round of the Sky Sports British Masters. The Englishman took a three-shot lead into Sunday at Walton Heath, only to reach the turn with his advantage cut to one stroke after Alexander Bjork closed the gap. Pepperell posted a front-nine 36 after three-putting the par-three ninth and seemed to be in bother at the par-four next when his tee shot missed the fairway and ended up in the semi-rough. Electing to attack the flag with his second shot, Pepperell fired his approach close to within two feet of the hole and saw it take a couple of short hops before dropping in for an unlikely eagle. The hole-out was Pepperell's fourth eagle of the week and restored his three-shot lead, leaving him in pole position to see out his second European Tour title. Click on the video above to see Eddie's extraordinary eagle!